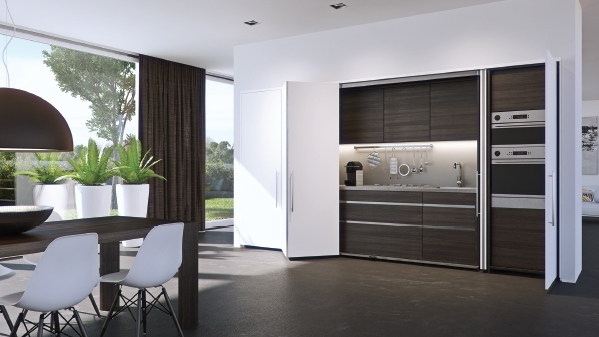 The HAWA - Folding Concepta 25 bifolds two doors and slides them into the side niche. This makes the innovative system all the more spatially economic. The future of creative application is literally wide open: from office recess in a guest bedroom to a utility room in the bathroom, the freedom of design is boundless.